These are a few of the books I recommend to teenage girls and their moms. These authors give solid biblical advice and address sensitive topics in a respectful manner that invites discussion. The Amazon links are affiliate links, which means I am paid a small commission at no additional charge to you. I’ve read each of these books and personally recommend them! I’m also a big fan of ViBella. ViBella is an organization that provides employment, education, and opportunity to more than 30 artisans in Haiti, Mexico, and right here in the United States. We also partner with organizations that provide employment in India and Ecuador. Stateside, they employ women in transitional housing near our home office in Sioux Center, Iowa. 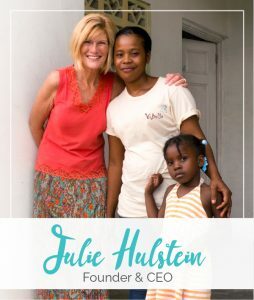 Julie’s vision and the work of so many ambassadors is weaving a beautiful story of hope and healing to these artisans, their families, and their communities. When you purchase a ViBella product, you not only receive beautiful jewelry, but more importantly, you are helping create beautiful lives.